Instagram is my favorite social media hangout right now. The array of images and ability to quickly scan, like, and comment makes connecting quick, easy, and highly visual. Starting Instagram feels less daunting than Twitter, somehow, and it’s something we are highly suggesting to OnCue clients who are uncomfortable with social media. You can view Instagram on a computer, but to start an account and upload photos, you must download the app on your smartphone. You can link Instagram with Facebook and Twitter, but I don’t recommend sharing EVERY photo to Facebook and Twitter. Sometimes I share only on Instagram … sometimes I’ll also post to Facebook at another time … and sometimes I do link to Twitter. Linking to twitter means the reader most click over to view the Instagram photo vs. using Twitpic or another sharing service that shows photos within the Twitter stream. Facebook now owns Instagram, so Twitter and Instagram don’t always play nicely. As a general rule, I think it’s a bad idea to have all of your social media linked up. You should be talking to people differently on Facebook than you do on Twitter and people are not inclined to follow you on all platforms if you repeat yourself in each and every broadcast. If you’re already on Twitter, try to snag the SAME user name for Instagram. It will make it much easier to find you and tag you in both tweets and Instagram posting. I’m going to start sharing some of my favorite people to follow in various categories, starting with barbecue, of course. Click on the images to go directly to that person’s Instagram feed. 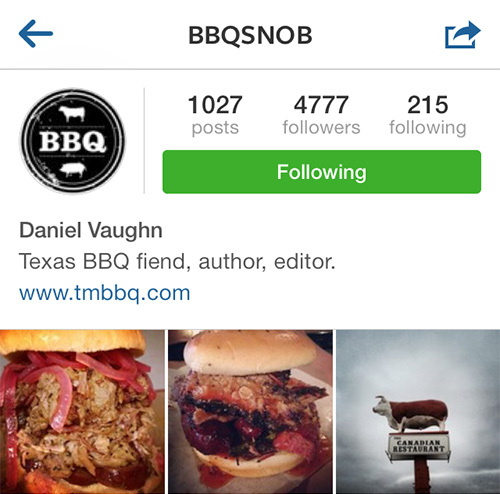 Daniel Vaughn, aka @BBQsnob on Twitter and Instagram, is the barbecue editor for Texas Monthly magazine. He posts images of barbecue, restaurant signage, and landscapes, mostly from his Texas travels. Great photos and honest commentary. Click on photo to go to their Instagram page. 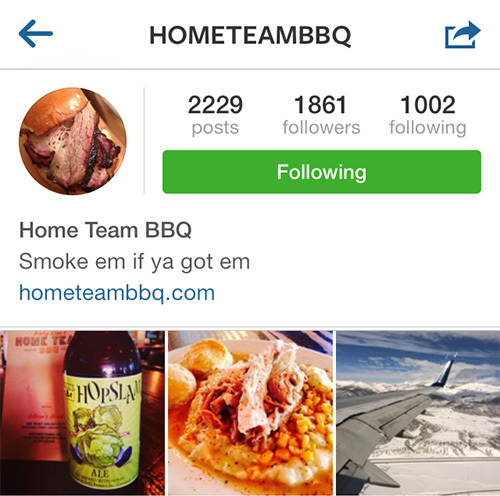 I love following Hometeam BBQ through their day and their various travels. Looks like they have lots of fun. 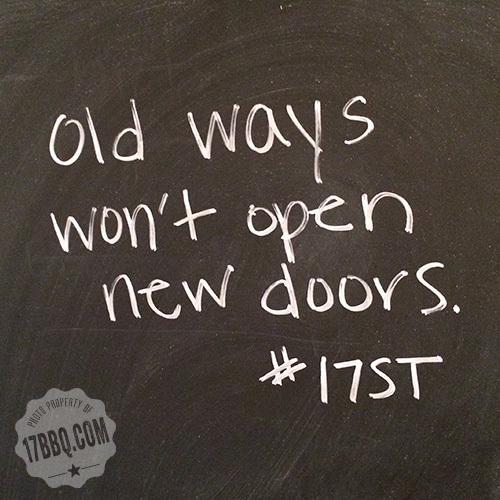 Follow them on Twitter at @FRHometeamBBQ. Click on photo to go to their Instagram page. Ali and Leann, the La Barbecue girls are whooping it up daily in Austin. Gorgeous pictures – of course owner LeAnn Mueller is a highly regarded photographer. Lots of personality in their feed. 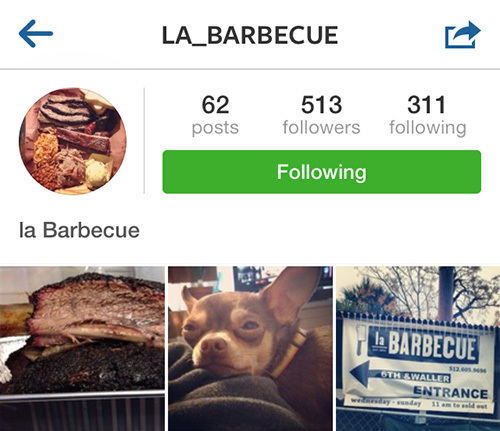 Twitter: @la_barbecue. Click on photo to go to their Instagram page. Truly beautiful food photography, inventive menu items, and again with the daily fun and interesting events. 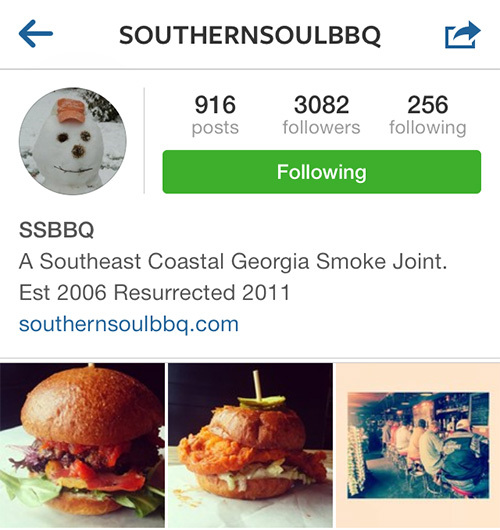 Their handle on Twitter is the same as Instagram: @southernsoulbbq. Click on photo to go to their Instagram page. Do you have any favorite Instagrammers? Please share them in the comments below!